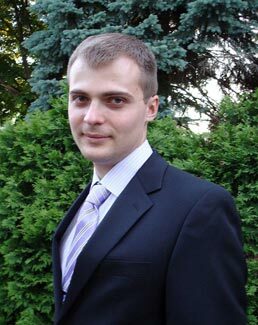 Dr. Evgeny S. Vorotnikov is a senior economist at Fannie Mae. He specializes in econometrics, Big Data, machine learning, applied microeconomics, labor economics and research in developmental projects. Dr. Vorotnikov has performed extensive research in the fields of labor economics and occupational licensing regulations. His studies on the effects of licensing regulations have been published in multiple academic journals. He has also played an important role in dealing with labor unions’ abuse of labor regulations. In 2015 and 2016, he served as an economic expert representing the U.S. Postal Service. In that role, he estimated the costs of negotiated contracts in the last rounds of the American Postal Workers Union, National Rural Letter Carriers’ Association, National Association of Letter Carriers and National Postal Mail Handlers Union contract negotiations and presented the case to the arbitrator that the Postal Service’s unionized employees were seriously overpaid compared to their nonunionized counterparts of similar education and skill levels in nonregulated industries. Dr. Vorotnikov has completed national and international research in countries including the United States, Sierra Leone, Tanzania, Mauritania and Uganda while consulting for the Institute for Justice and for different branches of World Vision.